"Mommy! Let's go to playground!" That, and I love you is what Jenae and Rafael always says whenever they see me dressed up on the way to events or to the market. 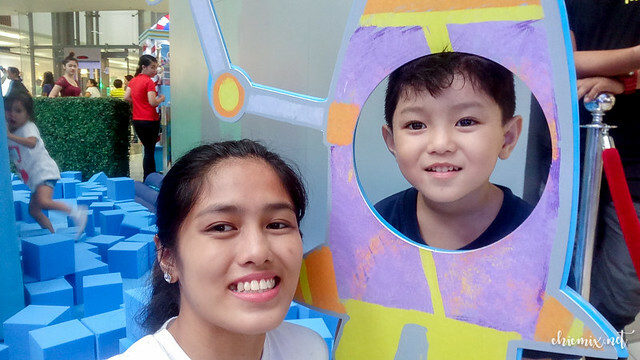 This day is a bit different, because they are also dressed up for some fun, thanks to Johnson's Playcation playgorund and event that happened last weekend. 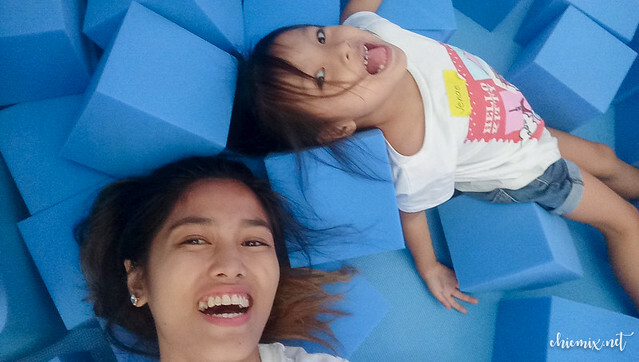 As a parent, I understand how important play is to kids, and with today's generation so absorbed in their gadgets, it is very important for them to get active and play. 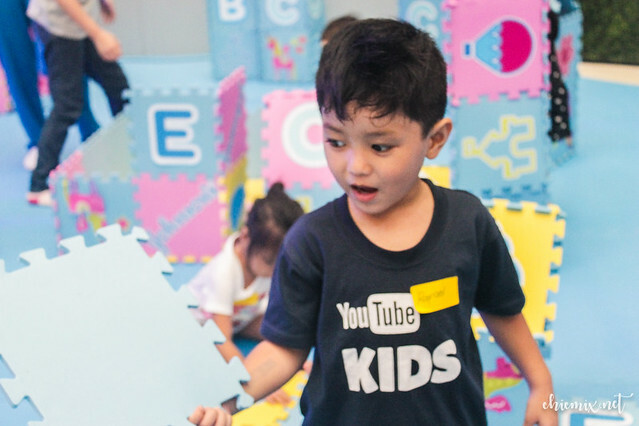 This is because they learn more and develop their different skills more when they play with their imagination and do something fun. Heck, I think everyone remembers more stuff when it is associated with the word fun. :D Even work. 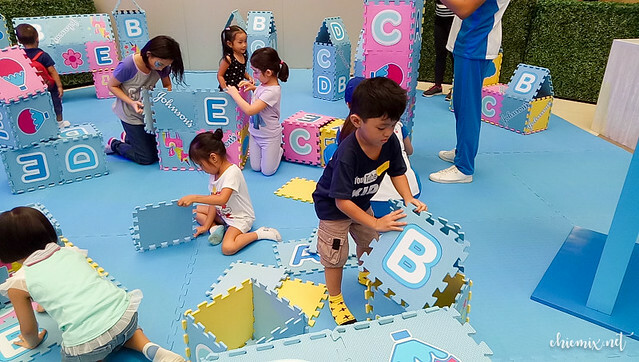 Johnson's Playcation event included 4 Playpods, like the Imagine And Seek above, letting their imagination run wild and have them create tents or trains and other things out of foam puzzle pieces. 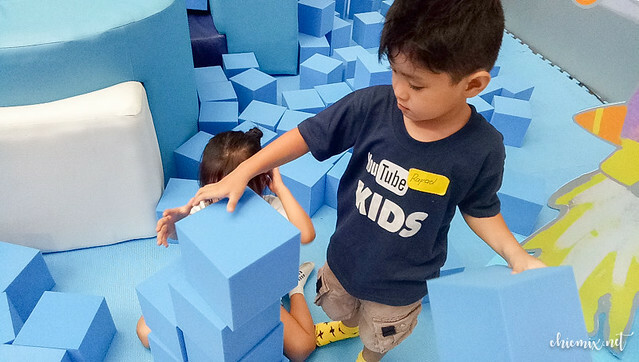 The water foam pieces below are also a great way for kids to build their castles out of, like what Rafael and Jenae are doing here. Or a round of catch with us is also fine and fun! 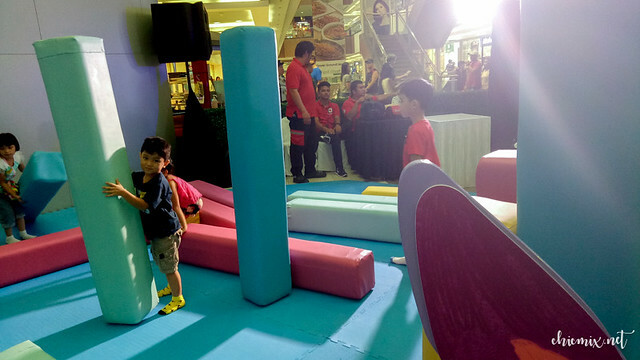 Little Builders City encourages kids to build their own fort and we moms and dads can surely play along here. 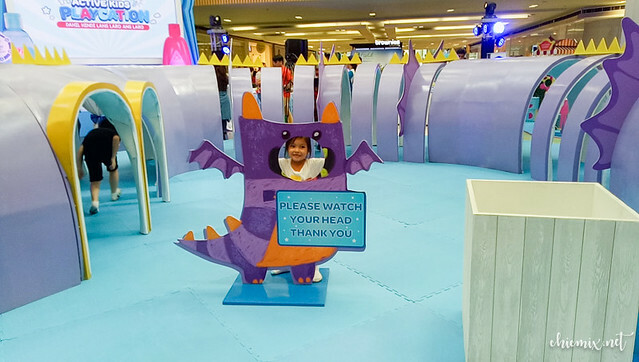 In this Dragon Maze, kids have to find few "hidden" things, which helps them mold their motivation to win, as this is played in a certain timeframe. Imaginative play has been proven time and again to be of a big help to a child’s optimum development. This is why we parents play an important role whenever we encourage and join our angels in playing games. 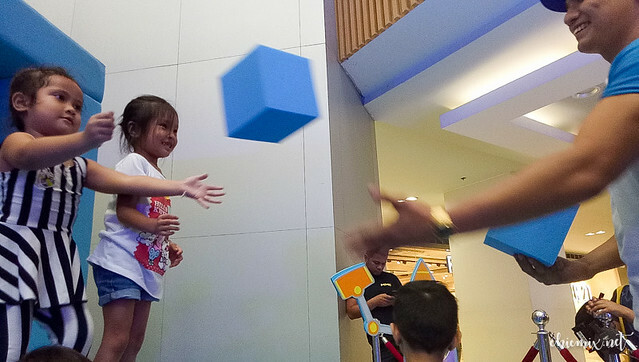 Our role affects how the child perceives play a lot, so it’s crucial for us to give our children the necessary props to aid in their imaginative play. 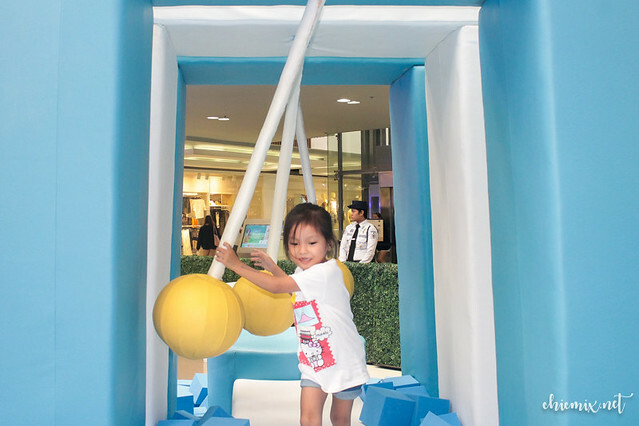 These playpods are available in SM Southmall until May 19th, and then they will be donated as part of the Johnson's CSR, so that kids around the Philippines can also learn and play! 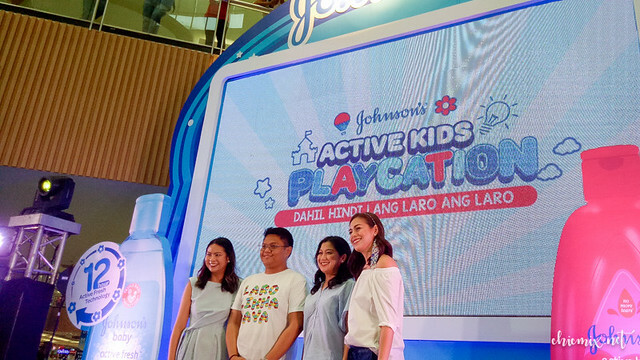 Make playtime more enjoyable and worry-free for parents with the Johnson’s Baby Active Fresh and Shiny Drops products. Keep your kids smelling fresh despite the summer sweat with the Johnson’s Active Fresh Shampoo and Johnson’s Baby Active Fresh Bath. Meanwhile, girls can keep their hair shiny as ever despite the heat of the sun with the Johnson’s Baby Shiny Drops Shampoo and conditioner. Thats a nice initiative not just for the kids but for the community at large. I learnt a new word, Playcation. New business concepts are throwing up newer terms. The kids too look cheerful and happy.